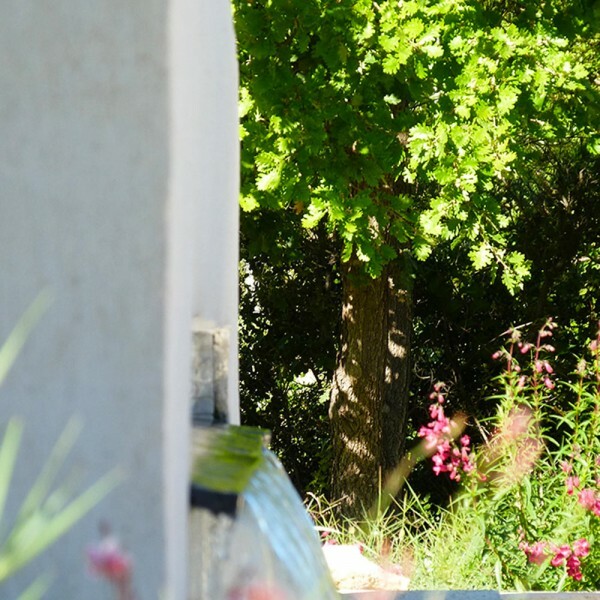 Pivoine is a room of 30 m2 on garden level, overlooking the garden and pool. 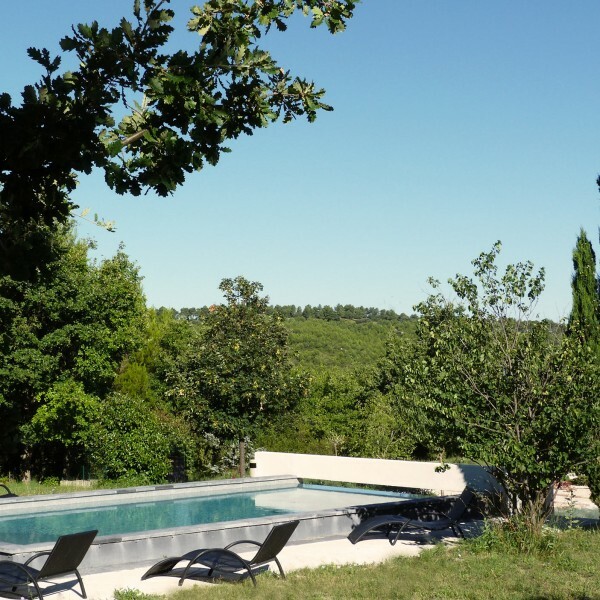 Its 15m2 terrace with table and chairs provides you with a cosy outdoor private space. 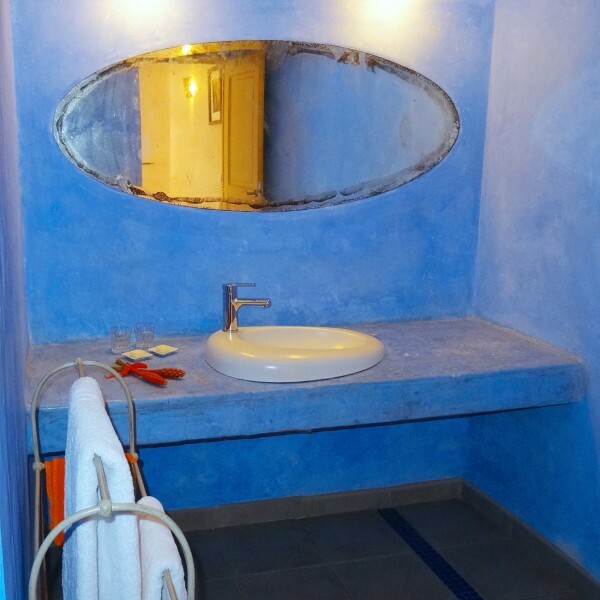 It has a blue waxed tadelakt bathroom with an antique mirror, a big walk-in shower and a private toilet.